Marketplace lender SocietyOne is appointing a former Citibank executive as its new head of digital acquisition and CMO, aiming to spearhead growth for the year. Melissa Cicero is taking on the role, following a range of other high-level appointments. SocietyOne CEO, Mark Jones commented that Ms Cicero’s appointment adds yet another level of experience and digital capability to the firm’s marketing team. “Melissa has a wealth of experience in developing and executing digital marketing strategies that take businesses to the next level and ultimately deliver P&L outcomes,” Mr Jones said. 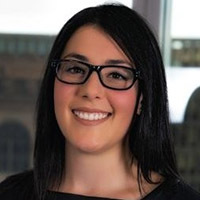 Ms Cicero has worked for more than six years in senior marketing and business strategy roles within the finance industry, most recently leading digital acquisition for credit cards and unsecured lending at Citibank. She has previously worked both locally and globally across multiple industries including retail, pharmaceutical, and telecommunications. “SocietyOne is a real game-changer within consumer lending fintech,” Ms Cicero said.